Betty Sue Hargrove Harvey, 89, of Cleveland, passed away on Wednesday, January 16, 2019, in a local health care facility. She was born in Canton, NC on May 7, 1929. 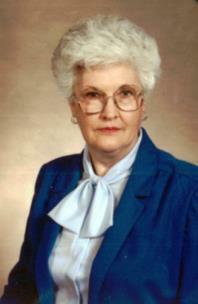 Betty was a member of First Baptist Church of Cleveland. She was a long time employee of Luck Color Lab. She was preceded in death by her husband of 47 years, Donald L. Harvey; parents, William Harvey Hargrove and Dora Warren Hargrove; sister, Mary Lou Matteson and brother, James Bradwin Hargrove. Survivors include her daughter, Kaye Talman and husband, Charles of Cosby, Tn. ; grandson, Cody Talman of Waynesville, NC; three stepdaughters, Susan Culberth and husband, Jeff of Douglasville, Ga., Donna Simpson and husband, Kevin of Huntsville, AL and Patty Watts and husband, Randy of Stockbridge, Ga.; eight step grandchildren; and several much loved nieces, nephews and cousins, all of North Carolina. A graveside service will be held at 3 p.m. on Sunday, Jan. 20, at Hilcrest Memorial Gardens with the Reverend Joe Brooks officiating. Her family will receive friends from 1–2:30 p.m. on Sunday prior to the service at Ralph Buckner Funeral Home. We invite you to send a message of condolence and view the Harvey family guestbook at www.ralphbuckner.com.